Positioning according to Al Ries and Jack Trout is the space that the brand occupies in the mind of the customer. Oh yes the product has a significant position on the shelf but does it occupy a significant position in the minds of the customer? When faced with an impulse purchase decision to buy a chocolate would the customer blurt out the words “Cadbury Fivestar” or would he utter some other brand name. Battles are won and lost in a split second. 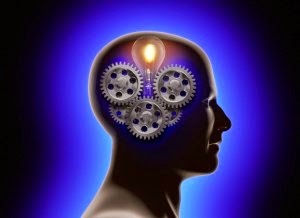 Human mind is cluttered and has many things to ponder. Tus there is no space for many brands. Positioning is the clutter breaker. It clearly defines what a brand stands for. For example Volvo is the safest car, Charminar is synonymous with Hyderabad, and Hero stands for best in mileage and so on. 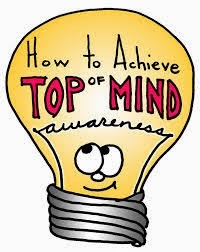 The brand that occupies the top (Pole) most position in the mind is the TOM (Top of the Mind). On prodding the customer might remember other brands. Brands that he is able to remember with out aid (or external help) are referred to as unaided recall. Best English movie - I might say “Titanic”. When asked about other most like movies, I might add “Modern Times, Ten commandments”, and may be mention three other movies. That is in any category most people are able to remember six brands without external aid. When shown posters of famous English movies I might happily remember many movies that I might have seen and liked. Movies that were remembered with aid (external help wold fall under the subset of Aided Recall. Marketers try their level best to be in TOM or atleast to be in the stage of unaided recall. Both TOM and Unaided recall are ideal. Aided recall status is very costly and cumbersome. Most advertising is reminder advertising that brain washes the customer to make the brand reach the stage of TOM or atleast in the unaided recall stage.